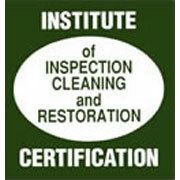 Big Bear Restoration has been using National Rug Cleaners for about five years. We have always been very pleased with their services. National Rug Cleaners is very respondent to our calls. We have always received positive feedback regarding the professionalism and the quality of their services. We highly recommend National Rug Cleaners for any job! National Rug Cleaners has been doing work for me since 2007. They are always professional and courteous and they guarantee their work. National Rug Cleaners has been doing work for me for the last five years. They are personal, reliable; and provide great service and great quality of work. We have been using National Rug Cleaners for over ten years. We have always been pleased with: their promptness, their service, their quality of work and their reasonable pricing.